On April 1, Albania celebrated ten years of NATO membership. Still a country in transition, Albania finds in NATO not only a crucial security provider, but also a chance to have a bigger say in international affairs. 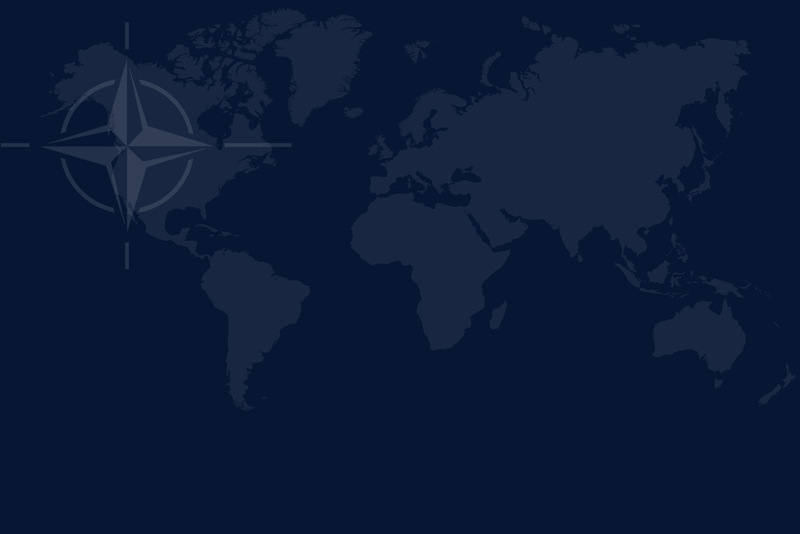 Contributing to international peacekeeping missions is one of the tools offered by NATO. NATO is important for Albania, and vice versa. It is in Albania that the Alliance is going to build its first air base in the Balkans. NATO will invest around 50 million euros to upgrade the Albanian Air Force base located in Kucova, a town once known as Qyteti Stalin (Stalin City). It has become a graveyard for Soviet and Chinese-made MiGs, definitely dismissed in 2005 (since 2009 the Albanian air space is protected by Italy and Greece’s Air Forces). For many analysts, the step made by NATO in Albania is a way to counter Russia’s aggressive stance, culminated in the annexation of Crimea in March 2014. Albania’s membership gave NATO the chance to “Atlanticise” the Adriatic, too. That is because, on the same day Albania joined the alliance, Croatia did it as well. After their accession, only one Adriatic segment – the Montenegrin one – was left outside NATO umbrella. The line was shut in June 2017, when Montenegro officially became the 28th NATO member. The Western Balkans are the region where NATO’s capacity to enlarge is at work. Results achieved in recent years show that the Alliance, despite its core mission has changed after the end of the Cold War, still preserves its attractiveness and NATO’s enlargement is not yet over. Also North Macedonia and Kosovo wish to join it, perceiving NATO as a chance to foster both security and democracy. Northern Macedonia is due to join the alliance very soon, maybe in 2020. The recent end of the long-time naming dispute with Greece paved the way for full membership. Meanwhile, the Accession Protocol was signed in February. For Kosovo, NATO is just a very distant dream so far. In the former Serbian province, an independent state since 2008, but not yet a UN member, political conditions to join the alliance still lack. The recent bill on the future transformation of the Kosovo Security Force into Kosovo Armed Forces was of course another obstacle, set up by the Institutions in Kosovo themselves. Anyway, the Alliance plays an important role in the country through KFOR, widely recognized as a stability factor, whereas the US presence in Camp Bondsteeel under COMKFOR is an additional bilateral guarantee. Bosnia and Herzegovina (BiH) and Serbia stay out because both countries do not plan to become members of NATO in the foreseeable future. For Belgrade, the 1999 NATO air campaign is still an open wound. As for BiH, the attempts to join NATO are vetoed by Milorad Dodik, the historical leader of the Bosnian Serbs, now a member of the country’s tripartite presidency. Several analysts foresee that Serbia and BiH, or rather a part of it, the Serbian entity (Republika Srpska), likely will remain under Russian influence, although this should not be overestimated. Belgrade has commercial and military links to Russia, but the EU largely remains its first economic investor and there is a good level of dialogue with NATO. Moreover the Serbian tradition, despite all the touted cultural and religious brotherhood with Moscow, is one of a friendship at arm’s length. Also BiH has a positive co-operation with the alliance. Its army contributes to NATO peacekeeping missions since 2009. The BiH Army was created in 2004 through the unification of ethnic military forces – one Serb, the other Muslim-Croat – that fought each other during the 1992-1995 war. SFOR, the NATO-led mission that operated in the country from 1996-2004, was key to enable the process and train future BiH Army members and is still a key stability factor, also through the periodical KFOR exercises to reinforce SFOR if needed. Some analysts stress that NATO is orchestrating a plan to surround Serbia – that has the strongest army in the region – and the Bosnian-Serbs, as it seems evident just looking at a map. Albania, Montenegro, Croatia, Hungary, Romania, Greece and Bulgaria are all NATO members. North Macedonia will join the alliance soon. It is an statement that must be put into its real context. First of all the Serbian Armed forces are significant only in the Western Balkans: by sheer numbers Bulgaria and Romania together are much stronger. In any wargame Serbia can be defeated without any encirclement. Secondly, political influence does not need geographic proximity as Chinese, Gulf or Russian initiatives show clearly. But the decisive argument is that, despite nationalistic propaganda and Russian connections (that are much more ramified and less visible in the region and beyond), RS and Serbia’s elite know that the status quo is better preserved by NATO through a professional, practical and functioning dialogue. This means also keeping an eye on illegal weapons, both cached and trafficked, and on potential terrorist networks. Despite some allies’ undiplomatic declarations, NATO respects Serbia’s neutrality and develop relations with both the West and Russia. The Serbian double track is not a decisive factor that can jeopardize NATO’s work to secure the Southern Region and does not exclude in future its participation in the Euro-Atlantic Partnership Council of NATO or in peacekeeping operations. Matteo Tacconi – Journalist and analyst, he covers the Balkans for a wide range of media networks. He worked as electoral observer for the OSCE/ODIHR in Albania, Macedonia, Russia, Georgia and Ukraine.